NHS funding would need to increase by 4% every year for 15 years to modernise the NHS as the population ages, a report states. In fact just to keep provision at its current levels, healthcare spending would have to rise by an average 3.3% a year over the next 15 years, according to a report by the Health Foundation and the Institute for Fiscal Studies (IFS), in association with the NHS Confederation. Speaking at the launch of the report, The world's biggest quango: the first five years of NHS England, health and social care secretary Jeremy Hunt said he believed there was a public appetite to pay more tax for the NHS if they money is spent wisely. He told his audience: 'Poll after poll shows people recognise that through the tax system we will end up having to contribute more. There is a willingness to do that, providing they can see the money going to the NHS and is not being wasted. 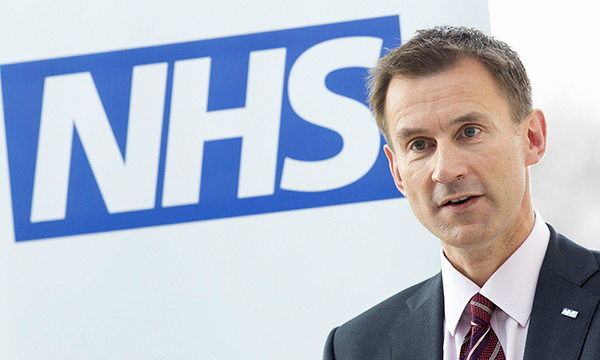 Mr Hunt said prime minister Theresa May recognised the need for a 'multi-year settlement' of health spending. The report's authors conclude that in the past, increased spending on health has been paid for by spending cuts in other areas. They said there is now no more room for such further cuts in other areas, in areas such as defence or housing. The document argues that relying solely on taxation to pay for a modernised NHS would increase the UK tax burden as a share of gross domestic product (GDP) to historically high levels. This would reflect the fact that there are projected to be 4.4 million more people in the UK age 65 and over by 2034, with the number of people with complex long-term conditions predicted to soar. IFS director and report co-author Paul Johnson, said: 'We are finally coming face to face with one of the biggest choices in a generation. 'If we are to have a health and social care system which meets our needs and aspirations, we will have to pay a lot more for it over the next 15 years. This time we won't be able to rely on cutting spending elsewhere – we will have to pay more in tax. The report comes as the government discusses the long-term plan for the NHS, promised by Theresa May earlier this year.